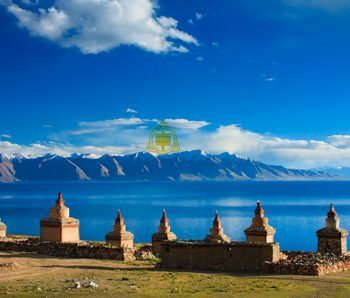 Tangra Yum Tso is a holy lake for Bon sect, which located in the southwest of Nyima County, Tibet. 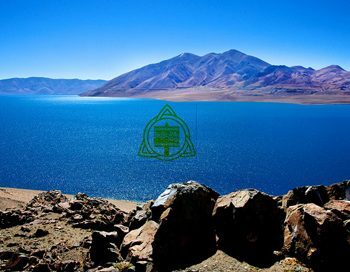 It is the fourth largest salt lake in China with an altitude of 4, 530 above the sea level. 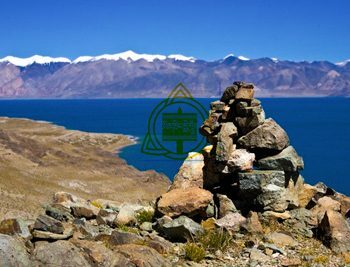 Tangra Yum Tso, together with the Darguo Mountain is regarded as the holy land by Bon believers. 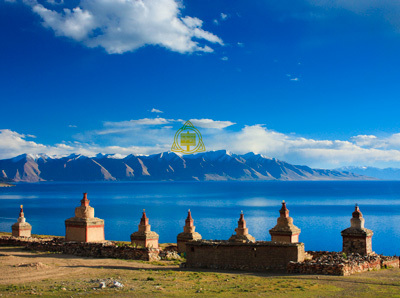 There is a monastery, Yuben Monastery, built in the cliff cave by the lake is said to be the oldest monastery of Bon sect. There was a story that long time ago, no barley was grown on this area. Therefore, people have to drive their sheep with fully loaded salt to other areas to exchange the barley. 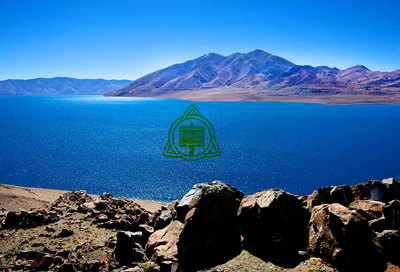 However, because the long distance, people often suffer from the cold weather and hunger all the way. 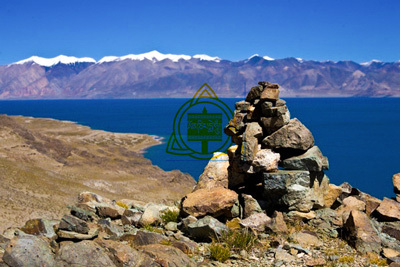 Darguo Mountain and Tangra Yum Tso was a couple, they decided to change this poor situation. They grabbed a bag of barley from Quxui, and fighting all way back to this area. During the fight, one arrow hit the bad and barley spilled out. Fortunately, a handful barley were saved. They scattered the barley by the lake and milked the barley every day. Finally, they got thriving harvest of barley for the local people.Local people has been worshiping the Darguo Mountain and Tangra Yum Tso to thank them for bringing harvesting.